July 21, 2011  Ana Isela Martinez Amaya was on her way to work in El Paso, Texas, where she had just been named Teacher of the Year, when border police in Mexico found two suitcases full of drugs in her car. It looked like she could have spent years in jail — until FBI agents uncovered a complex, car-tracking drug operation. July 10, 2011  The number of migrants from Central America and Mexico who are trying to cross illegally into the United States has dropped dramatically over the last few years, in part because the trip has become incredibly dangerous. NPR's Jason Beaubien recently traveled along much of the migrant trail in Mexico. July 8, 2011  NPR's Jason Beaubien has traveled from Central America through Mexico in recent weeks, following a route that many migrants take trying to reach the U.S. He reflects on the increasingly dangerous journey and the dreams that continue to propel migrants northward. July 8, 2011  The trip across the border has always been perilous, but some Mexican drug gangs are now earning millions each year by extorting and smuggling migrants. Despite the increased danger from the cartels, one 15-year-old who was deported after reaching the U.S. says he'll soon try again. 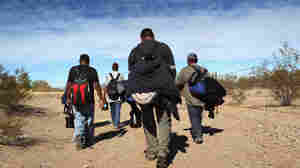 July 7, 2011  Illegal migration from Mexico and Central America into the U.S. has fallen recently. But those who do cross Mexico face an even more dangerous journey amid that country's drug war. Attacks on migrants have increased dramatically. One Honduran man says he had to pay a $3,000 ransom for his life. Atop Train, Migrants Begin Dangerous Trek To U.S.
July 6, 2011  For many Central American migrants crossing illegally through Mexico to the U.S., the journey starts as they hop a freight train. But the already perilous trip is more risky as they now fear kidnapping by Mexican drug cartels. Last year, hundreds of migrants went missing or were killed in Mexico. Atop A Train, Migrants Begin Dangerous Trek To U.S.
June 24, 2011  In the border state of Tamaulipas, the Mexican army is taking over full control of police departments in some of the most troubled cities. 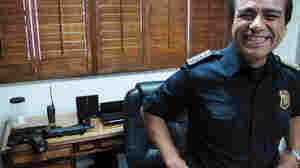 Drug cartels have been operating with impunity, and authorities say it could only happen with police involvement. 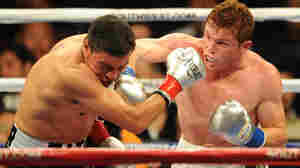 June 17, 2011  Nicknamed "El Canelo," or cinnamon, for his red hair, Saul Alvarez will defend his WBC super welterweight title in his hometown of Guadalajara on Saturday. The 20-year-old hasn't lost a fight since he turned pro at 15, and he's being billed in Mexico as boxing's next superstar. June 12, 2011  Julian Leyzaola beat down drug cartels in Tijuana, but faces daunting new challenges in Mexico's deadliest city. He says narcos are criminals who should be viewed as just criminals. And to restore respect for the law, he's even cracking down on pirated DVDs. June 5, 2011  A report issued this week by the Global Commission on Drug Policy labels the U.S. war on drugs a failure. The commission encourages countries not to think about it as a war on drugs, but as an effort that includes social and health problems as well. June 1, 2011  Mexican drug cartels are expanding into Central America, seeking new markets and smuggling routes for their products. In El Salvador, there's fear the cartels are aligning themselves with the country's ubiquitous street gangs. And gang members say they're welcome. 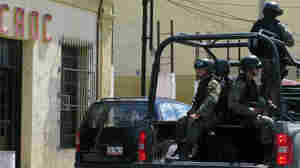 May 31, 2011  Mexican drug cartels are expanding into El Salvador, using local gang members as hit men, police say. The Salvadoran president calls the cartels a "very powerful enemy," but his government says the problem isn't out of hand. Others say if the cartels aren't stopped soon, it may be too late for El Salvador. May 30, 2011  While drug trafficking is not new to the region, the volume of drugs and levels of violence have increased in recent years. 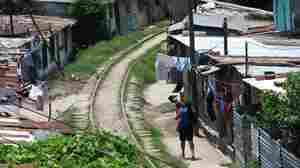 In Guatemala, experts warn that the volatile mix of a weak state, powerful drug traffickers, lots of weapons and intractable poverty could cause a collapse. 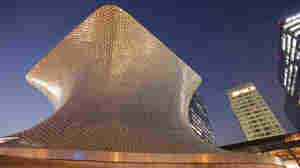 May 14, 2011  Telecommunications mogul Carlos Slim calls the new Soumaya Museum in Mexico City a gift to his country. But critics say much of the art collection is made up of minor and mediocre pieces by big-name artists. Still, the museum is extremely popular with Mexicans.